Prices start at $275 per personGolf Package Includes Accommodations, Green Fees, Cart Fees and All Taxes. 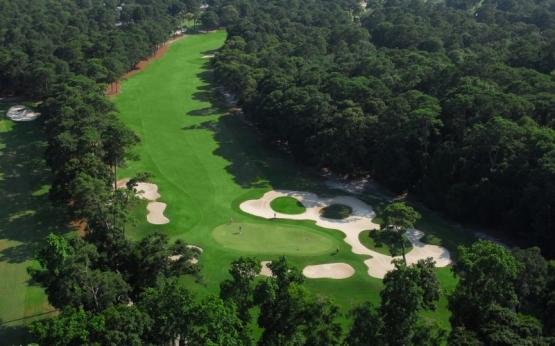 The Elite Myrtle Beach golf package has some of the best courses in the Myrtle Beach area to play. Must play 3 courses but can play all 5. Also included, are free 9 hole replays same course/same day. May be booked at time of AM check-in based on availability. This Myrtle Beach golf package has prices ranging from $275 to $460 per person based on 4 in a 2 bedroom golf condo. One of the most popular golf destinations in the entire country is Myrtle Beach, located on the coast of South Carolina. 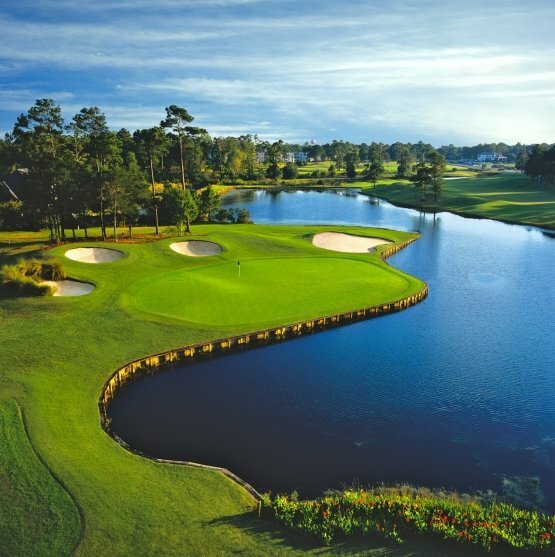 Myrtle Beach is home to over 100 golf courses designed by some of the biggest and well known names in golf including Robert Trent Jones, the late Arnold Palmer, Jack Nicklaus and Pete Dye. With a large selection of public golf courses as well as those that are semi-private and private, you have an endless array of championship courses to choose from, depending on your needs, wants and of course, budget! All along the Grand Strand, you'll find a golf course that offers something for every golfer regardless of whether you are a beginner or experienced pro. When playing the Myrtle Beach golf courses, you can hit the links on a budget or if you're willing to spend a few dollars, you can play on some of the Best Golf Courses in Myrtle Beach. While you can play golf in Myrtle Beach year round, but the perfect temperatures and low breezes make spring and fall the most popular (and most expensive) seasons. The most popular months are March & April and October & November. Avoid large crowds and save some money by planning your golf trip during the off season, just outside of the peak times. 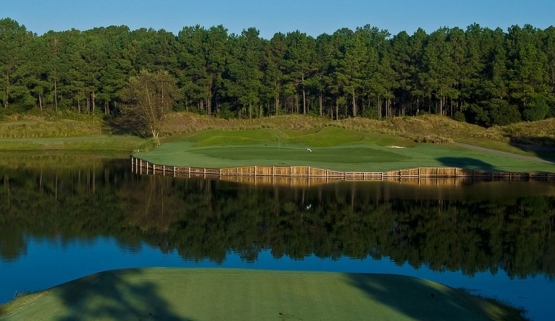 Arrowhead Country Club – Raymond Floyd and architect Tom Jackson teamed up to create this 27-hole course. Each of the three nines – Cypress, Lakes and Waterway -- has it’s own personality taking a lot of its character from what nature provided. 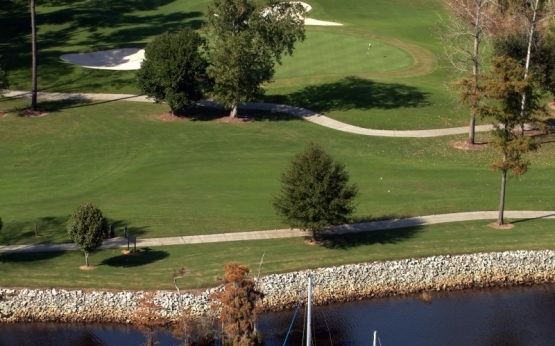 Tidewater Golf Club and Plantation - Tidewater burst onto the national golf travel scene as the first layout to win Best New Course honors from both Golf Digest and Golf Magazine, and it remains one of the nation’s premier courses and the most requested course to play on the Northend. 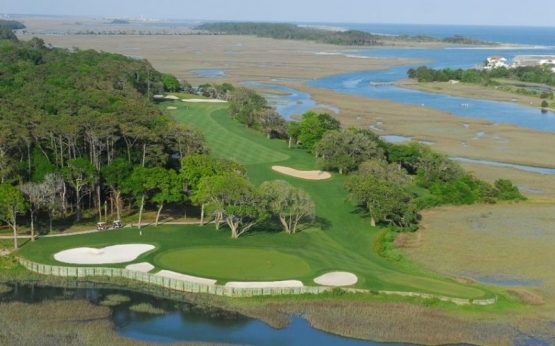 The course plays along the Intracoastal Waterway and Cherry Grove Inlet, in addition to offering a distant view of the Atlantic Ocean.